Do you need help? Please call us at 314-965-0046. Most diamonds look nice under bright lights, but some become noticeably average in normal conditions. Those which continue to sparkle and dance have good cut quality. At Summa Jewelers we separate cut quality into two areas; Cut Performance, which revolves around light return, and Cut Precision which can take top performing diamonds to an even higher level. Traditional components include brightness (all light returning to the eye), dispersion (“fire” seen as white light is broken into spectral colors) contrast (the pattern of dark and light areas) and scintillation (sparkle seen as the diamond, the light source or the observer move). Diamond Performance is elegantly seen in the AGS ASET® and its precursor, the Holloway Ideal-Scope®. These tools are “performance reflectors” developed in factories & laboratories to improve cut performance. The AGS ASET® is the only diamond cut grading tool endorsed by the science community. How do ASET® and Ideal-Scope® work? Light entering a diamond will (a) reflect from the pavilion and return to the viewer’s eye or (b) ‘leak’ through the pavilion. These performance reflectors, when placed over a diamond, allow a viewer to see where light is returning to the eye and where it is leaking, as well as a “contrast pattern” which is critical to scintillation. Simple to use, both devices do this naturally and effectively. The ASET® does reveal more detail, making it preferable for fancy shapes. 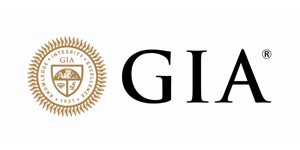 The AGSL began cut grading diamonds in 1996, after 30 years of research by the AGS Diamond Grading Standards Committee. Their Angular Spectrum Evaluation Tool or ASET, introduced in 2005, is the foundation of their three-dimensional cut grading system and the AGS Ideal light performance grade. Here is the hand-held version of the AGS ASET®, with backlight. The diamond is placed on the backlight and the unit is placed over the diamond. RED is Direct Light (drawn from 45-75 degrees). Red will be the most intense. It comes directly from the source. GREEN is Reflected Light (drawn from 0-45 degrees). Green has less intensity. It is light reflected from walls, the environment, etc. BLUE represents light Obscured by the observer (your head blocks this light from reaching the diamond). These areas will light up when the diamond is tilted and other areas will become shaded. WHITE (if the diamond is backlit, as above) or BLACK (if not) is Leakage. These areas show where pavilion facets are acting as windows rather than mirrors. You see white because those windows allow you to look through the diamond and see the light underneath. White should be minimized. In general RED should be maximized. Some BLUE is necessary. Too much GREEN is undesirable. The distribution of the three colors is important. WHITE should be minimized. Each cut has its own set of light performance standards. Fancy cuts are not held to the same standards as Round Brilliants, which are the best at returning an abundance of RED direct light. In high performance rounds RED is dominant, broken by an even BLUE contrast pattern. GREEN is present in small, symmetrical quantities. WHITE leakage should be minimized. Abundant RED indicates abundant light return, which most people find appealing. The balance of dispersion or “fire” seen will depend on the diamond’s configuration or “make.” Large tables and shallow crowns have more whiteness then fire. Small tables and high crowns have more fire than whiteness. Middle combinations are balanced. BLUE creates the contrast pattern in a round diamond. These areas are obscured by the observer in the face-up position. Tilt the diamond slightly and those areas erupt in light as others go dark. Tilt it more and they swap again. Keep tilting and the on-off sparkle you see is scintillation. In high performance diamonds the character of scintillation is influenced by the table and lower halves. Short lower halves result in fewer, broader flashes. Long lower halves create more numerous, smaller flashes. Middle combinations are balanced. RED, GREEN and small areas of BLUE are equally important to the contrast pattern in a princess cut. The pattern is less defined than the round brilliant so princess cuts rely strongly on movement to create the on-off fireworks you see as scintillation. The distribution of colors is extremely important in this shape. WHITE leakage can be present but should be minimized. Garry Holloway’s Ideal-Scope® has been the world’s most widespread performance reflector since the early 2000s. 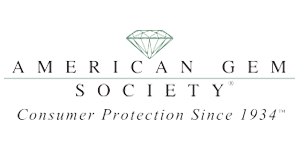 A simpler version of the AGS ASET® (a precursor by several years) the Ideal-Scope is employed by trade buyers looking to match diamonds quickly as well as numerous internet shoppers and cut enthusiasts. The Ideal-Scope is simple to use and understand and well-suited to judgments in rounds. The performance qualities in round brilliants are predominantly direct light (RED in both tools) contrast pattern (BLUE in ASET, BLACK in IS) and leakage (WHITE in both tools) so both tools are well-suited to analyzing rounds. Both tools provide simple, elegant and 100% natural ways to analyze light performance. For interested consumers, a USA distributor selling both of these instruments and a variety of other diamond-related tools isAccredited Gem Appraisers in Philadelphia. Why don’t more sellers have these tools? Because few diamonds achieve top light return. Most diamonds look nice under bright lights and these tools reveal the cutting flaws that are present in the vast majority of the world’s diamonds. Why aren’t more diamonds cut for Performance? Because it’s cost-effective to follow the shape of the rough. Even a few tenths of a degree away from the critical angles which produce optimum performance produce less brightness and leakage. Performance reflectors reveal a great deal about the brightness, contrast and scintillation-potential of a diamond. With a small amount of study even a novice can learn how to judge Cut Performance with these performance reflectors. We are your full service jewelry store, offering everything from beautiful jewelry in every price range to in-house repairs of your precious items, as well as the most thorough and comprehensive appraisals you'll find in the St. Louis area. Our staff has almost 80 years of combined experience in every aspect of the jewelry business. Your American Gem Society Jewelry Professionals.